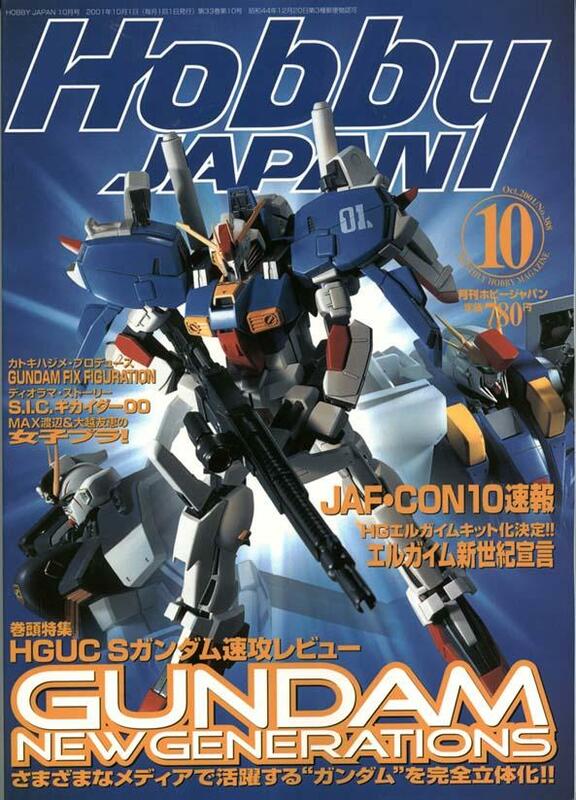 The new October issues of Hobby Japan and Dengeki Hobby magazines hit the streets today. 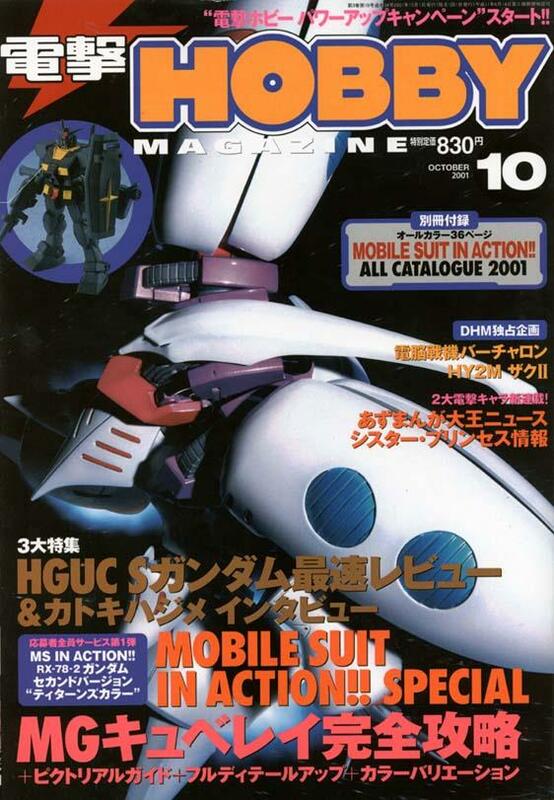 Here's all the interesting Macross news from both magazines. The Dengeki Hobby magazine has a nice two page photo spread on the Yamato VF-1A Hikaru type, including photos of the partial transformation sequence. 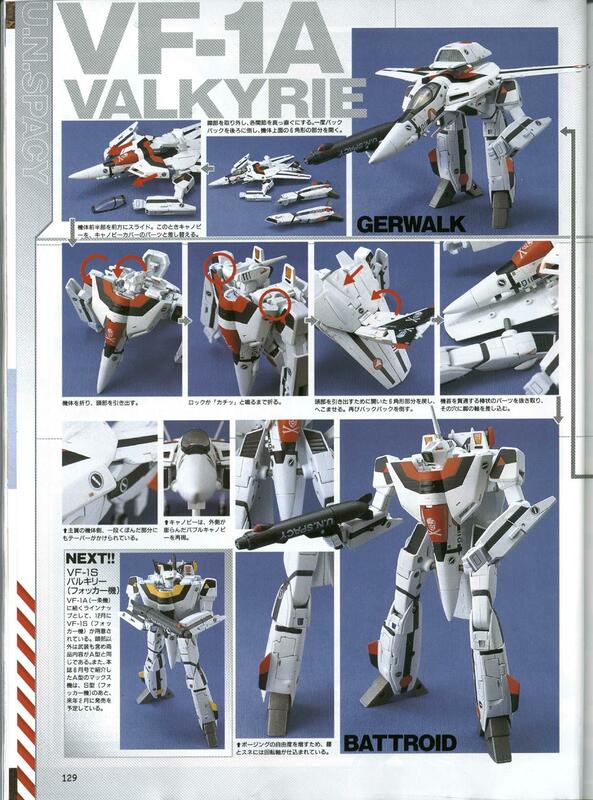 Please note however, that the VF-1A in the photos is just one of the hand-made all resin samples and not an actual pre-production plastic and die-cast version. Also, since these photos were taken, the actual toy has had some changes made, including strengthening of some parts and a few extra details added. 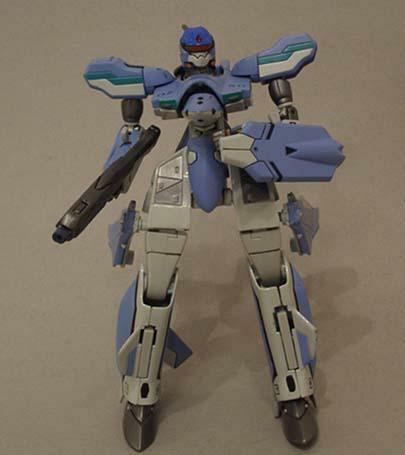 I should have access to a painted pre-production VF-1A within the next 1 or two weeks so expect a detailed photo shoto and review soon. 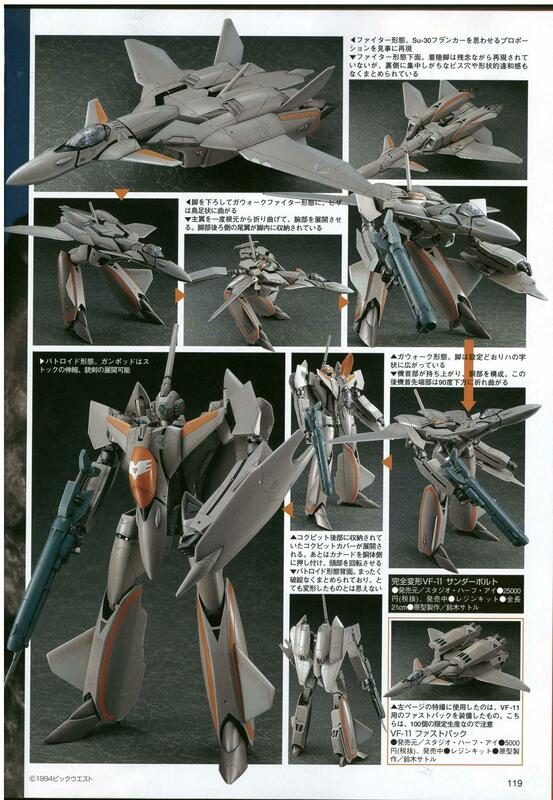 Not much news, but The Hobby Japan magazine has a great two page article on the Studio Half Eye VF-11B. 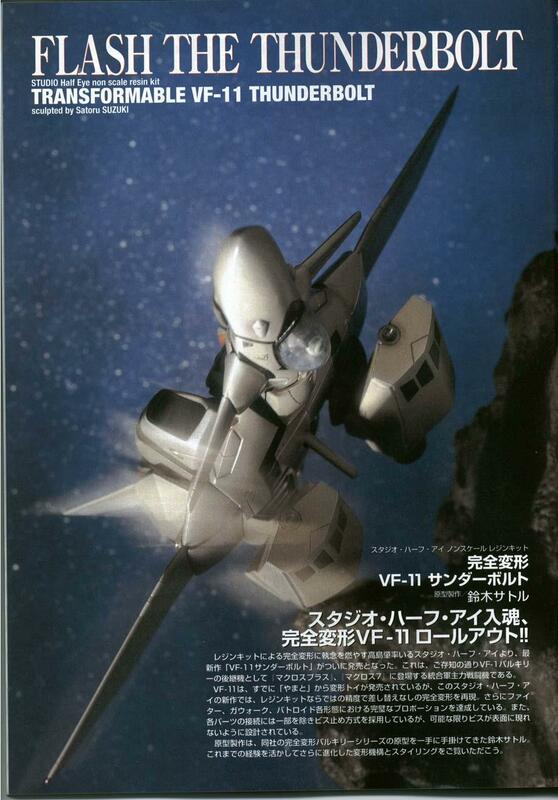 The Hobby Japan also has a half page black and white article on the Banpresto VF-1 toy showing the transformation. From the text accompanying the article It looks like the toy will be 12cm tall and will be released in January 2002. 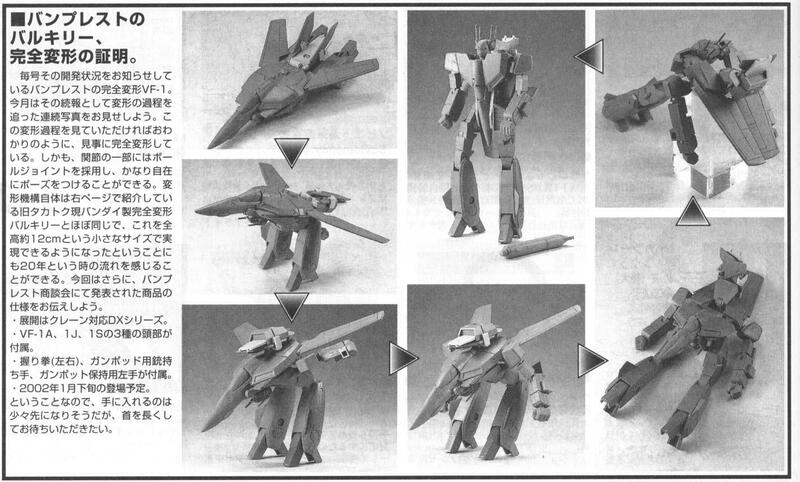 Also it looks like VF-1S, VF-1J and VF-1A versions will be released. Hopefully someone else will be able to offer a more complete transformation of the article. 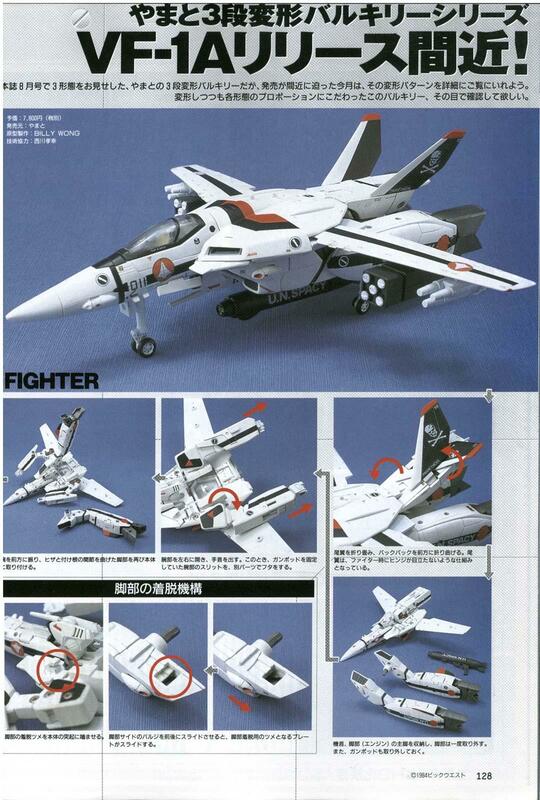 Here's a small article from Hobby Japan on the Bandai Takatoku 1/55 VF-1J re-release. No idea what the article says. Translation anyone?